Growing with rapid changes is a key skill in the telecommunications industry. Five key industry drivers competition, customers, market, deregulation and technology advances are forcing telecommunication companies to restructure themselves around customers, market expansions, industry trends and latest infrastructure. 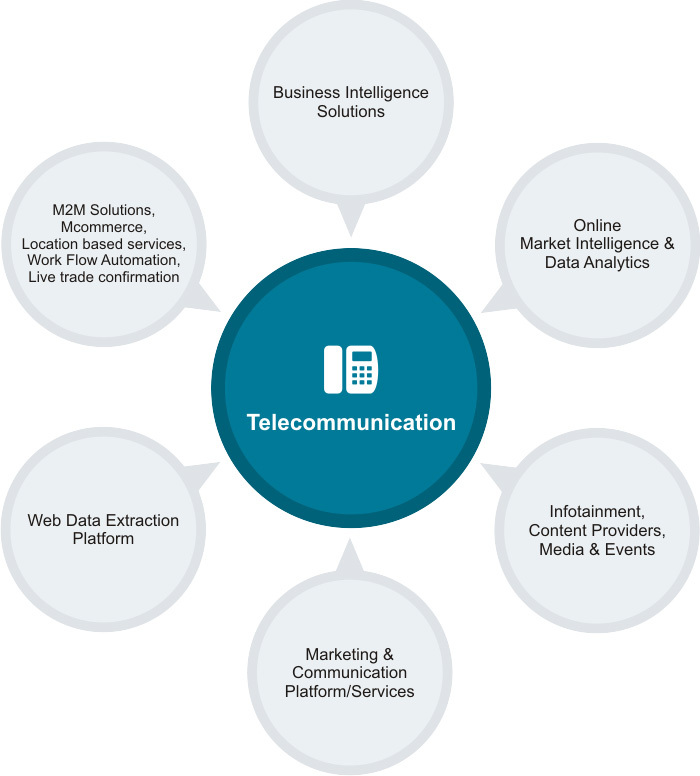 We recognize challenges and focus on Telecom Industry solutions. Visit TeleOSS Solutions for M2M, Communication, Work Flow Automation, Infotainment & Live trade confirmation Solutions.